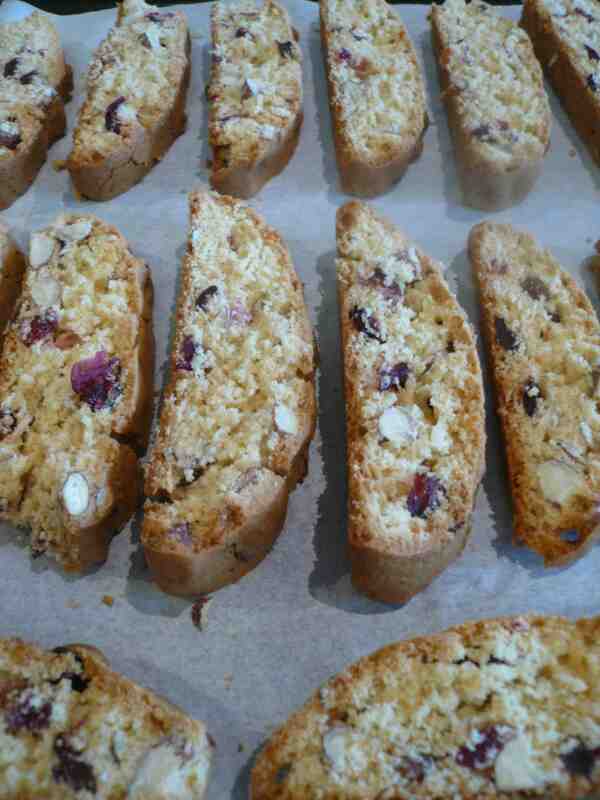 I do love homemade biscotti so was very excited when this simple and yummy recipe landed in by inbox from my friend Soph, who found it on a friend’s blog. Needing to provide dessert for dinner with friends this week, I decided to give these a go because they were able to be made ahead of time, and Soph’s super do-able serving suggestion of dipping in chocolate fondue grabbed me immediately. Don’t be turned off by the two stage cooking process – this recipe is still dead easy and really nowhere as labour intensive as it might seem. I have never succeeded in making biscotti wafer-thin, but having tried, failed and still enjoyed eating chunkier homemade versions of it, I’ve decided I’m okay with it. This winning recipe costs less than $3 to make. Thanks Soph, for this terrific contribution. 1. In a mixing bowl, mix together the sugar and oil until combined. 2. Add eggs and vanilla essence and mix thoroughly until combined. 3. Add flour, baking powder and salt to the egg mixture, and stir to form a dough. 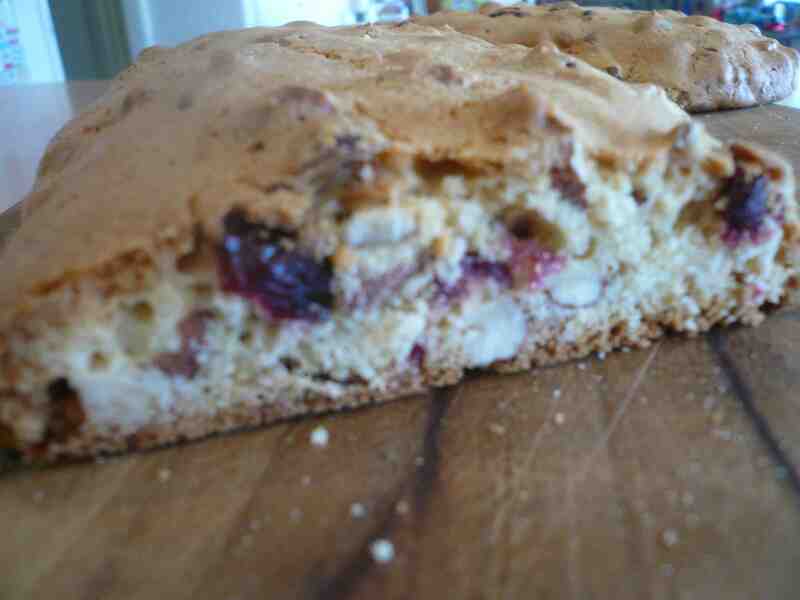 When all the flour is almost incorporated, add in the cranberries and almonds. Continue stirring until all the flour is incorporated and a dough has formed. 5. Bake at 300F/150C for 35-40 minutes until the logs are slightly golden. 6. Remove from the oven and cool. Reduce oven heat to 275F/135C. 7. Once the logs are cool enough to handle, slice into slices. Place sliced biscotti back onto tray and bake for 8-10 minutes until crisped.